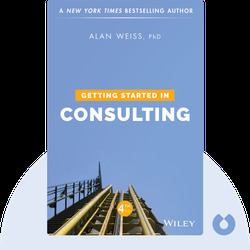 Getting Started in Consulting (2009) is the go-to guidebook for budding consultants. From finding your footing and learning about legal matters to mastering the dual art of marketing and branding, these blinks outline every step on your journey to building a strong consultancy firm – and maintaining it, too. Alan Weiss is the founder of Summit Consulting Group and has penned more than 50 books, including Getting Started in Consulting and Million Dollar Referrals. In addition to being named among the National Speaker Association’s top one percent of the world’s best public speakers, he has also consulted for innumerable companies, consistently earning more than $1 million per year. 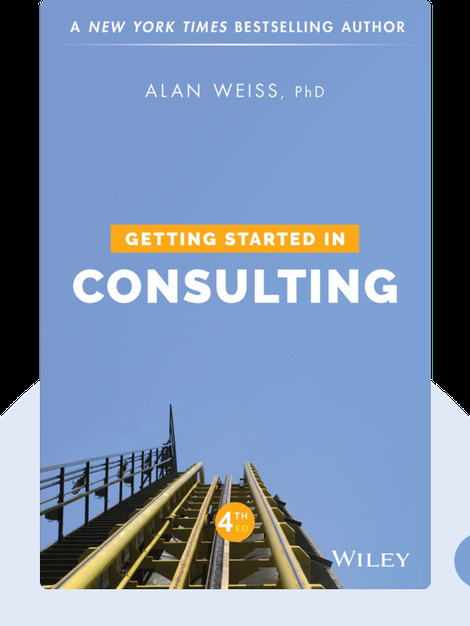 [Alan Weiss: Getting Started in Consulting] copyright , John Wiley & Sons [Inc. or Ltd. as applicable] Used by permission of John Wiley & Sons [Inc. or Ltd. as applicable] and shall not be made available to any unauthorized third parties.